Turmeric has been used in recipes and as Ayurvedic medicine for thousands of years. It has both anti-inflammatory and anti-oxidant properties, and therefore offers many health benefits. It can be used to relieve swelling and pain due to headaches and small wounds and has been called ‘natural aspirin’ in Ayurvedic medicine. When applied to small cuts and wounds, its anti-bacterial properties can stem blood flow by aiding with blood clotting, preventing infections and healing wounds. Combined with milk, turmeric is used as a drink, lotion or even a face mask. bone health and arthritis relief, Turmeric is known to help people suffering from joint pains. anti-oxidants, Turmeric milk helps fights free radicals that damage skin. In addition to drinking it, Turmeric milk face masks can improve skin’s glow and elasticity. treats diarrhea and indigestion. Use low-fat milk for this, because high fat milk can aggravate diarrhea. makes a soothing mask or lotion to reduce redness of skin or patches. works as a great general body detox. Taking it daily can help in blood purification and liver detox. A healthy liver is so important to avoid sever health problems. Heat 8 oz of milk to almost boiling (do not boil the milk). Add 1 teaspoon of powdered turmeric, stir, let it cool a little, and enjoy. I always add a spoonful of honey for my sweet-tooth. So good. If you prefer to use turmeric root instead of powder: heat a 1/2 to 1 inch piece of turmeric in 8 oz of milk for about 15 minutes to almost boiling. Strain out the turmeric, let it cool a little, and enjoy. To change things up, few peppercorns can be added along with ginger, especially when treating cold. Peppercorns are said to improve absorption of turmeric by the body. 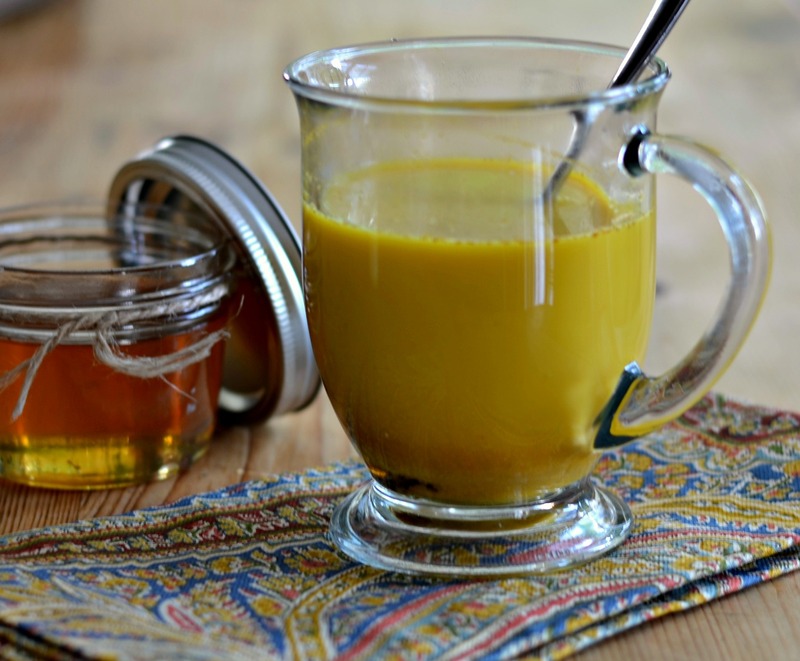 For Turmeric Face Mask or Wash: take ¼ cup of whole milk and add ½ teaspoon ground turmeric. Soak a clean wash-cloth in the mixture and apply to affected skin. Leave on for 10 minutes before washing off. Pregnant women should not to use turmeric unless cleared by their physician. Normally turmeric in food is safe. It is, however, like ginger, a natural blood thinner, those who require surgery must stop taking any form of turmeric – food or supplements a couple of weeks before surgery. Also, it can react with diabetic medication and medication taken to reduce stomach acid. Please speak to your physician. Get a 0.5 oz sample for only $1.98 Free Shipping. This entry was posted in Arthritis Relief, Cancer, Cold Remedies, Easy All Natural Fixes, For Better Health, Healthy Hair and Skin, Liver Detox, Simple Truths and tagged anti-bacterial, anti-inflammatory, arthritis relief, bone health, cold remedies, diarrhea, healthy skin, liver detox, turmeric. Bookmark the permalink.